Are you ready for the holidays? It’s that time again- Christmas music, lights and decorations everywhere. The happiest time of the year! 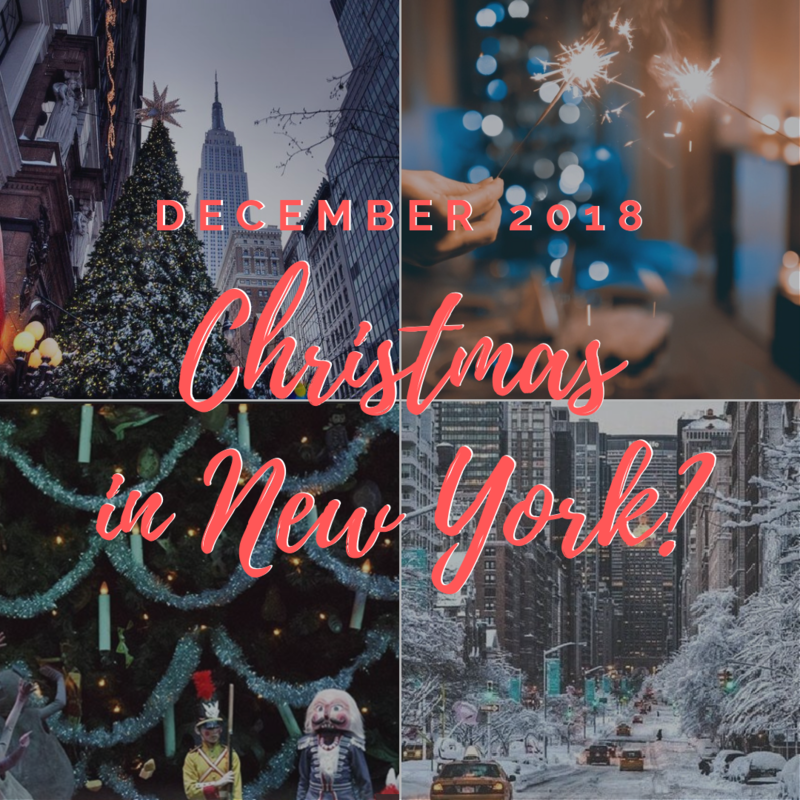 If the first thing that pops up into your mind when you think of Christmas is the scene from Home Alone at the Rockefeller Center Christmas Tree, then you know there was no place for doubt that this month we have to write about New York! What better way to prepare for the holidays than visiting a Holiday Open Market?! Free ice skating, ringside bar & food hall, plus lots of holiday shopping- lots of fun and joy are guaranteed! Organized by Bank of America, the Winter Village at Bryant Park in Manhattan is the ultimate Christmas Wonderland. A Christmas Carol- a signature play from Charles Dickens. A unique experience that will bring you back 150 years ago. You will be able to meet Mr. Dickens himself and enjoy a heartwarming glass of mulled wine or cider and lovely Christmas cookies. A great way to spend your weekend (Thursdays, Fridays and Saturdays starting from the 7th till the 24th December) filled with surprises and pure joy. A holiday classic filled with old-fashioned costumes, a tree that grows before your eyes, crystal snowflakes and lovely performance of the New York City Ballet under the sounds of Tchaikovski. The ultimate holiday experience that will leave you excited, amazed and filled with warm holiday spirit. This has always been the most exciting moment of the holidays- watching the Christmas Tree lights shine bright! Enjoy a lovely family evening that will spread loads of joy and happiness for the whole holiday season. Dec. 8 - W. Harlem Piers Park . Who said we can dress up only on Halloween?! Rock your best Santa look and get ready for a night of unexpected adventures, pleasant surprises and great company! And since it is the season of the miracles and good deeds, while having the time of your life you will be able to do some good and donate money for charity. This is the ultimate holiday season music experience featuring a dozen musical street parades on the very first day of winter- 21st of December. There will be many surprises, a great variety of cultures and genres- something for every taste. Everyone is welcomed to share their love for music and have a great time! Let’s end this year with a bang! Get ready for new adventures, lots of love and happy feelings in 2019. Make some new NY resolutions to lead/guide you through the upcoming year. Smile more and stay beautiful!